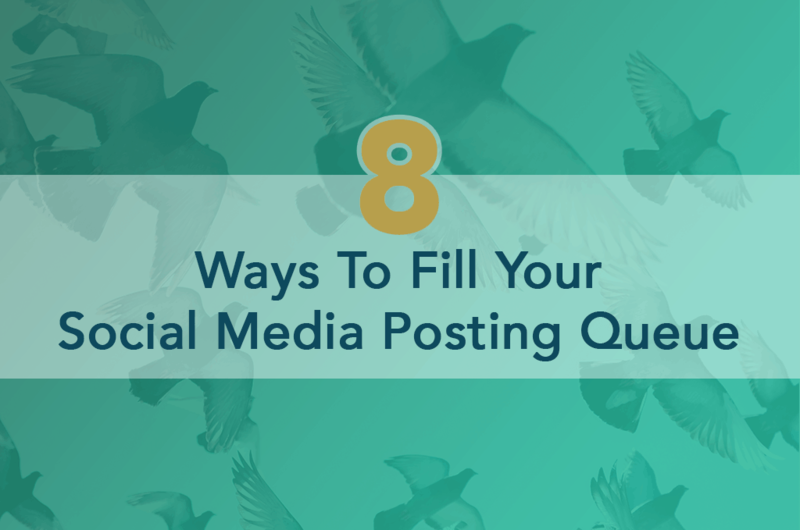 Generating enough content for your social media posting queue is a challenge. While content quality is important, maintaining an active presence is what gets your posts in front of an audience. Social media algorithms reward consistency. Yet according to the Content Marketing Institute, B2C content marketers struggle to create consistent, high-quality posts. 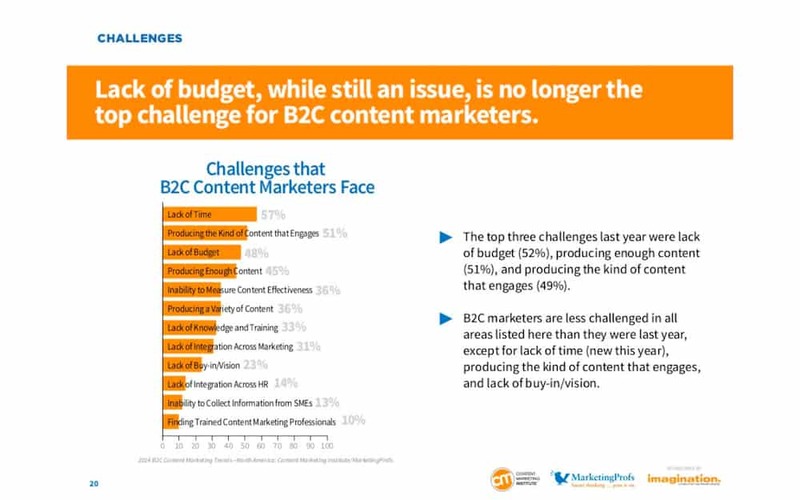 The top five challenges included lack of time, producing engaging content, and producing enough content. These pain points probably come as no surprise. Producing enough content that engages your audience is every content marketer’s main task. But those inexperienced with social media forget one thing: not all content must be original. Businesses are expected to produce a high volume of content just to stay active on social media. This is where third-party content can be a life-saver. For example, Twitter experts have recommended posting anywhere from 15 to 51 times a day. But who wants to spend time creating 15 original tweets every day? Reposting third-party content can also build relationships. It’s easy to forget that behind every shared Tweet or post, there’s another person. Sharing posts from other businesses in your industry can establish you as a thought leader who keeps up with the newest trends. On the other hand, reposting content from your audience communicates a willingness to engage and be social on social media. Reposting third-party content takes away the pressure to churn out high-quality content at a breakneck pace. But finding content for your social media queue is still a lot of work. Fortunately, social media posting tools make the process of discovering and scheduling third party content much easier. Here are eight ways to find third-party content for your queue without spending all your time on social media. Most people share content by manual discovery. While browsing, they may come across a helpful article, copy the link, and paste it into social media with a quick caption. This method is simple but incredibly slow. A variation on manual discovery is sharing others’ social media posts. Sharing an existing post excuses you from formatting work or hashtag research. However, finding high-quality posts while you scroll through feeds leaves a lot up to chance. There’s no telling how long you’ll need to scroll before finding content for your queue. Browser extensions let you share and schedule content you find from your web browser. Instead of copying a link, opening a social media site, and manually creating a post, you can share the content you’re viewing with just a couple clicks. Services that include a browser extension include Hootsuite, Buffer, and dlvr.it. While options differ from one service to another, most extensions include options for instant posting, scheduled posts, images, and other formatting. 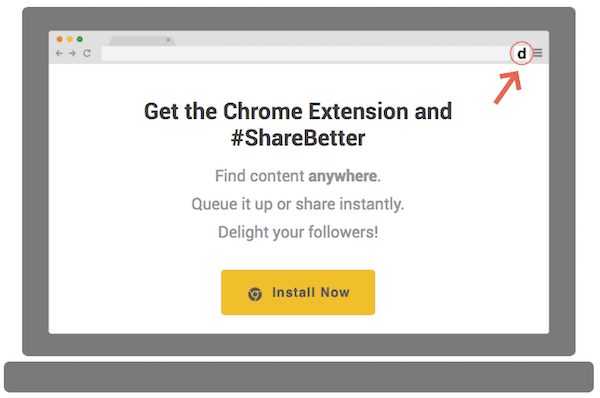 Browser extensions save time by allowing you to post to social media as you browse. Only using a browser extension still requires you to manually find content. But pair an extension with RSS feeds and social media automation, and you have a recipe for seamless post scheduling. Many people use RSS (Really Simple Syndication) to keep up with news and their favorite websites. If you’re not an RSS user, following an RSS feed could free up some of your time. With so much content online, it’s difficult to keep up with every website or blog that you admire. People check their favorite blogs regularly or receive notifications through social media or email. But what about the sites that you find useful, but aren’t at the top of your list? These often fall by the wayside. RSS solves this by combining just headlines – the “simple” part of the acronym – into an easy-to-scan feed. These feeds are useful for keeping up with news, industry changes, and of course, following websites you enjoy. RSS feed readers take that convenience one step further by integrating multiple RSS feeds into one location. The largest RSS reader is Feedly. After Google Reader was discontinued in 2013, Feedly quickly filled the gap and has remained the dominant RSS reader, improving upon features that Google Reader lacked. Other RSS readers include Inoreader, NewsBlur, and FeedBin. Instead of searching for content manually online or scrolling through endless social media posts in an app, RSS readers keep you up-to-date by providing everything in one place. You can follow along with the latest news, blogs, and industry experts without visiting each individual website to look for updates or clogging up your email inbox with RSS updates. Your content curation strategy may range from RSS feeds to highly sophisticated software customized for your business. Referencing a list of curated content, you can choose the best material for your social media posting queue. For free, general topic curation tools, start with public user-generated content like Twitter lists and Pinterest boards. These sources reveal the types of content your audience is actually consuming. You can also find enterprise-level content curation services for your business. These curation tools have varying levels of customization. Leading services include Curata, PublishThis, and Scribble Live’s Trapit. As the name implies, these tools search content in bulk to find relevant media. Then, you can import the best content and schedule in bulk to your social media posting queue. Use bulk content search and import services to share third-party content or recycle original posts. Create a queue of your best blog and social media posts with platforms like dlvr.it and SmarterQueue. Or use bulk search for content curation. Search tools grant access to thousands of articles based on your filters and keywords. Importing capabilities allow you to choose from the best content for social media posting. Import from websites, blogs, and even directly from social media sites. Many curation or post scheduling tools also include RSS automation. Combine the convenience of RSS with social media automation and you have a powerful tool. 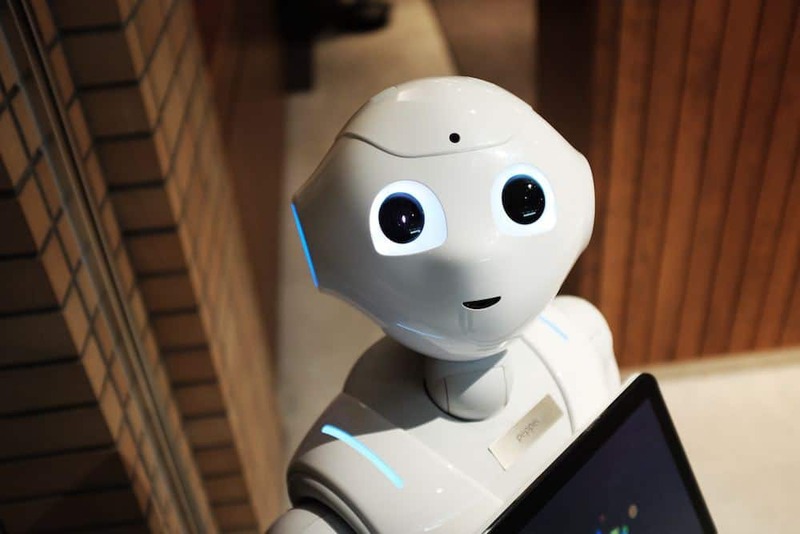 An RSS automation service like dlvr.it automatically posts content from your RSS feeds to social media platforms. You set the filters to determine which post topics or sources are most relevant for your audience and let this service do the work for you. Share relevant news, industry updates, blog posts, images and even videos instantly or as scheduled posts. This type of “set it and forget it” tool is perfect for marketers who are too busy to commit significant time to social media but know how important it is to modern businesses. You can also set up auto-recycling for your own social media posts. Dlvr.it offers this with EverQueue, which reposts your top performing posts automatically. We get it. Some people would rather not deal with social media at all. If that’s you, then outsourcing the work could be a good option. Several agencies and contractors offer content sourcing and social media management services, so finding an expert won’t be hard. Use caution when making the decision to outsource. While not having to do the work sounds tempting, letting a third party take over your social media has drawbacks too. The largest benefit of going with a third-party service is expertise. You may not know the best strategies for posting on social media, but this work is your agency’s bread and butter. An agency will optimize your posts by weekday, time of day, and posting frequency. They’ll also be experienced in post formatting, choosing the best hashtags, and encouraging audience engagement. Connections are the second major benefit. 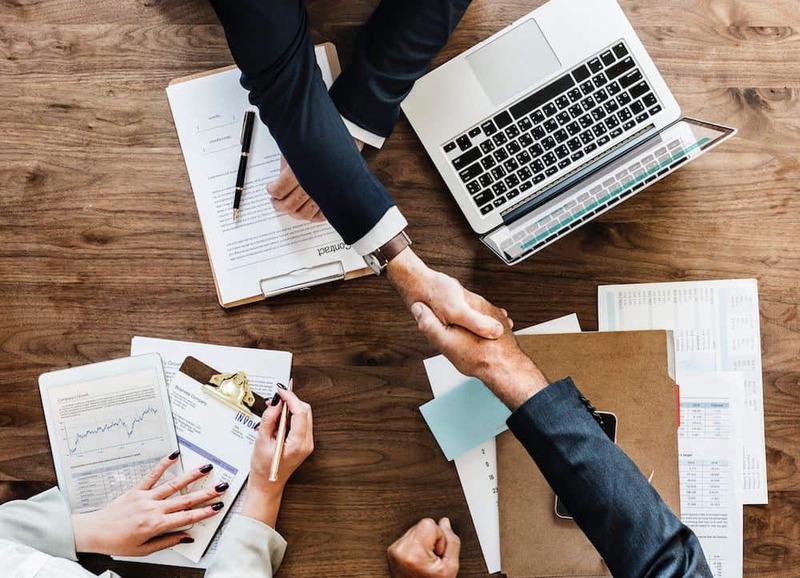 An experienced agency will already have connections on your social media platforms and may be able to connect your business with relevant influencers. Yet many business owners are hesitant about using a third party service and for good reason. Key concerns revolve around authenticity, consistency with company culture, and over-reliance. When someone outside of your company posts for you, there will always be concerns about whether the content is genuine. It’s vital to sit down with your agency and communicate your brand vision and values. Mistakes are almost inevitable, but when you see a post that seems “off-brand,” you should be able to get in touch with your agency and clarify your needs. You’ll need to keep in mind that a third-party won’t be aware of changes happening within your company, so you need to do the extra legwork to keep them up-to-date. Finally, stick with a third party service for too long and Social Media Examiner warns that you may find yourself too reliant on outsourcing. The longer you remain with a social media agency, the more difficult it becomes to do the work yourself, especially if no one on your in-house team is familiar with the work. Not every follower sees your content the first time you post it. Businesses worry that consumers view reposted content as repetitive and annoying. That’s almost never the case. Sharing a post multiple times can actually double your traffic. Any content you repost should provide value to your audience. Even if a consumer doesn’t choose to click through to your site, seeing the headline will remind them that your resource is available. It’s easy for a follower to ignore a post they’ve already seen. But the chances of them remembering that specific piece of content and going to your website to find it? Not likely. Posting consistently on social media shouldn’t be a stressful task. But don’t try to implement all 8 methods at once. Instead, start with two to three tools and figure out what works best for you. Better yet, use a single service like dlvr.it, that supports a variety of social media queueing options. dlvr.it can help you succeed on social media with powerful tools to help you fill your social media queue with quality content from millions of sources. We’d love for you to try dlvr.it and see what we can do for you.